The difference of Hertz will affect the output of air pump. Our standard products are for AC240V 50Hz or AC110V 60Hz countries. If your country is using AC240V 60Hz, or AC110V 50Hz, please contact us directly for products avaibility! 1. Highly efficient corona discharge ozone production technology with low power consumption (10W). 2. 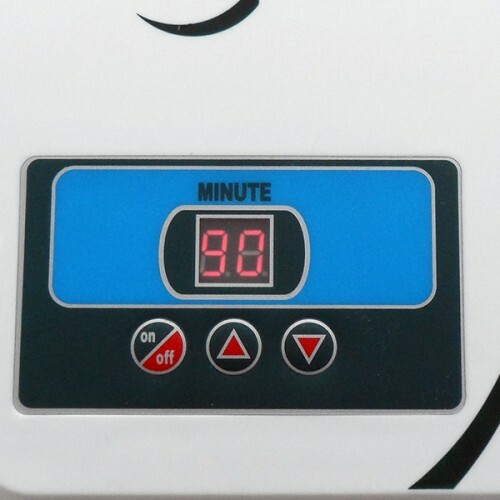 60 min digital timer and “Constant On” function. 4. 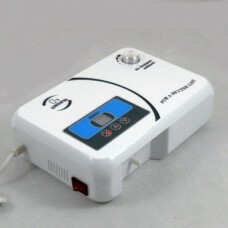 Silent and vibration-free built in air pump. 5. Work together with Enaly 200 ml Air Dryer. 6. Comes with 2 sets of high quality air hoses and ceramic diffuser stones. 7. Free ozone application guide. 8. Compact and durable design. 9. Installation free, use instantly. 1. Can be repeatedly used after heated in a microwave or an oven. 2. 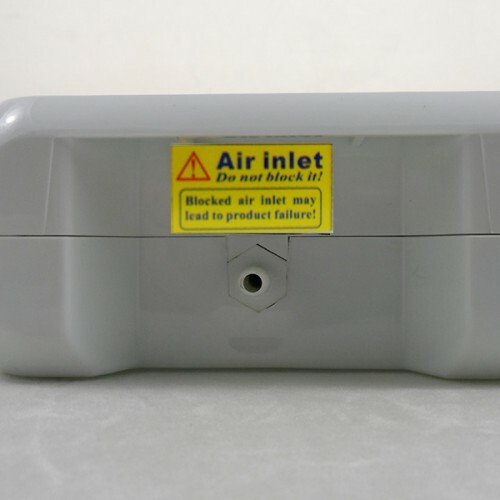 Air filters at airlets are included. 3. Dark blue silica beads turn to a pink color when filled with moisture. Enaly OZX-300AT is one of our full-featured ozone generators for making ozonated water conveniently at your own home to remove chemical residue found on most meats, fruits and vegetable or to disinfect anything that needs to be 100% bacteria and harmful substance free. 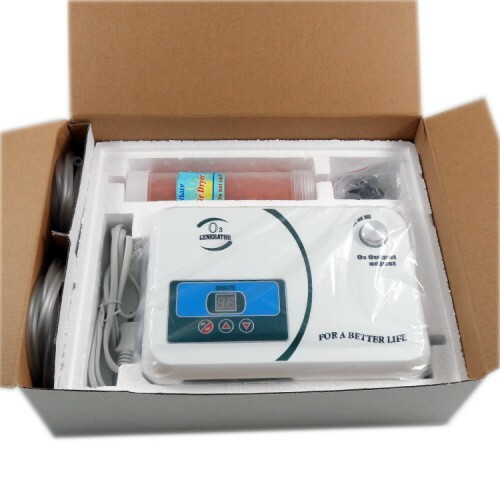 This ozone generator comes with 60 Minute Digital Timing and Constant On functions, which make it ideal for applications requiring different ozone output levels. 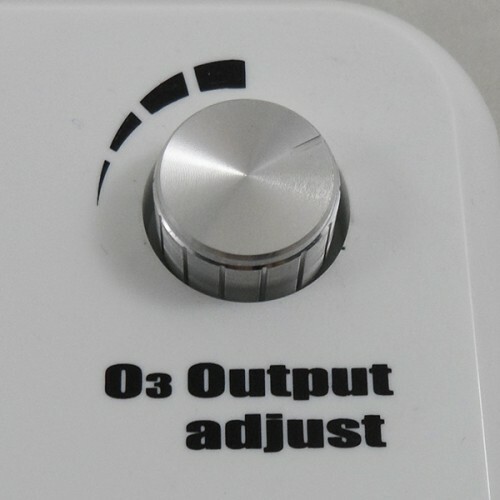 Unlike many home-use ozone generators, OZX-300AT has an Output Adjusting Dial that regulates its ozone output from 100% to less than 40%, ideal for working together with a Redox (ORP) controller to control the water quality of a fish pond or an aquarium. 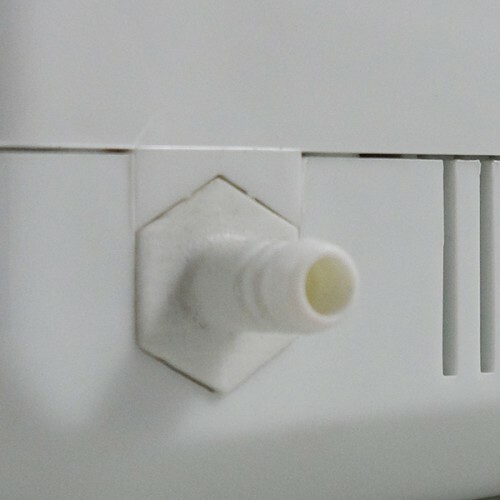 This ozone generator has an External Air Inlet dedicated for Enaly 200 ml Air Dryer connection (provided). This air dryer not only removes moisture from the air, making the generator suitable for operating in humid environment, but also raises its ozone output. This ozone generator is highly effective in many different ozone applications.